BlackBerry Ltd. lost US$275 million in its third quarter and sales in its group that includes automotive software were flat, although its revenue and adjusted earnings were better than analysts were expecting. The Waterloo, Ont.-based technology company, which reports in U.S. dollars, says the net loss included $149 million in expenses after BlackBerry lost an arbitration of a dispute with Nokia. But BlackBerry says its adjusted profit, excluding the Nokia payments and other items, was $16 million or three cents per share. Analysts on average had expected a break-even quarter on an adjusted-per-share basis, according to Thomson Reuters. BlackBerry's revenue was also higher than expected at $226 million, but down from $289 million a year ago. Analysts on average had expected $214.6 million in revenue. Sales in its BlackBerry Technology Solution group — which includes the QNX software used in auto infotainment units and self-driving vehicle systems — were flat at $43 million. “We had a very strong quarter and I'm very pleased with our results,” BlackBerry executive chairman John Chen said on a conference call with analysts. Chen said BlackBerry is making good progress towards being a key software supplier for autonomous vehicles, which he sees as a one of the key growth opportunities for the former smartphone company. The Waterloo, Ont.-based company — which has been repositioning itself as a cybersecurity, software, and intellectual property supplier — is working with many of the automotive industry's major chip makers and parts suppliers. “They have engaged us to provide them a BlackBerry operating system for the car that is high on safety and security," Chen said in an interview Wednesday. 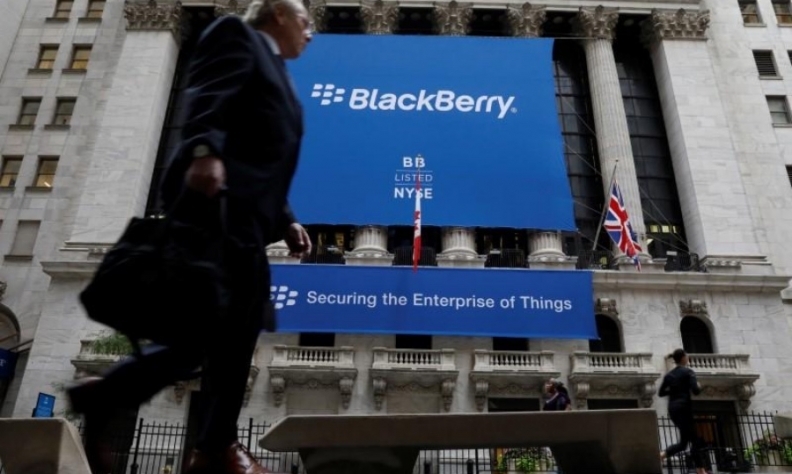 He also said that some of the progress was through agreements with Tier 1 auto parts suppliers and with chip manufacturers that won't immediately have an impact on BlackBerry's revenue. “Some of the design wins we had last year will turn into revenue in 2019 and the wins that we are having right now are going to turn into [revenue] in 2020,” Chen said. Chen said a modern car has far more lines of code than an airplane, even a fighter jet, so BlackBerry is focused on embedding its technology in the most basic systems of a vehicle's functions. BlackBerry has developed about 12 different software modules beyond infotainment systems that were a major part of its QNX operating unit. For example, BlackBerry has modules for guiding lane changes with advanced driver assistance, for connecting the vehicle to wireless networks, and for showing how various systems are working through virtual cockpit displays. Chen said growth in the overall automotive industry is expected to be slower for a couple of years before picking up again when autonomous vehicles become more of a factor. "These are all high-growth areas, they're all new. It's more needed for the autonomous car than the connected car," Chen said. But the recent agreements with chips makers and automotive systems suppliers won't have an immediate impact on BlackBerry's revenue, which continued to dwindle in the third quarter ended Nov. 30. "Some of the design wins we had last year will turn into revenue in 2019 and the wins that we are having right now are going to turn into (revenue) in 2020," Chen told analysts. Last week, BlackBerry announced a partnership with Japan-based Denso Corp. — one of Toyota's technology suppliers — to work with Intel to develop an integrated platform for co-ordinating various human-machine interfaces. BlackBerry's shrinking revenue is mostly due to its exit from the hardware portion of its legacy smartphone business, which has been only partially offset by increased revenue from software, services and licensing revenue. Revenue from software, services and licensing was $190 million, a record for the company. Revenue from handheld devices dropped to $9 million, from $62 million, and revenue from system access fees dropped to $27 million from $67 million. BlackBerry's shares surged during early trading Wednesday morning, climbing C$1.38, or 9.8 per cent, to C$15.35.